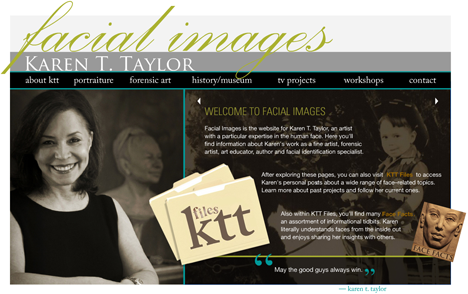 Since 1986, I have been devoted to providing professionals worldwide with high-quality, practical, hands-on training about faces and facial anatomy. Based upon years of diverse casework and proven results, my forensic art workshops are intended to simulate genuine case experience. My goal in fine art workshops is to demystify anatomy and hone the artistic eye. This helps artists understand faces from the inside out so they can portray them in the medium of their choice. In addition to art schools and universities, my workshops have been held at law enforcement, medical and dental training facilities. Curricula for my various drawing and sculpture workshops have been designed to benefit fine artists, forensic artists, and many other technical practitioners who depict faces in their work. For course descriptions, see the Workshops List. You can go here for a Current Workshop Schedule, which varies each year. On occasion, courses not already scheduled may be commissioned by special request. I’m honored to currently be an instructor at two prestigious venues. My workshops have been offered at the Scottsdale Artists’ School in Arizona for more than twenty-five years. I also serve as an Adjunct Faculty member at the Forensic Anthropology Center at Texas State University (FACTS) in San Marcos, Texas. I hold workshops there in February and September.